Equipo Nizkor - Duncan Campbell - Interception Capabilities 2000. 2. Globally, about 15-20 billion Euro is expended annually on Comint and related activities. The largest component of this expenditure is incurred by the major English-speaking nations of the UKUSA alliance. |1| This report describes how Comint organisations have for more than 80 years made arrangements to obtain access to much of the world's international communications. These include the unauthorised interception of commercial satellites, of long distance communications from space, of undersea cables using submarines, and of the Internet. In excess of 120 satellite systems are currently in simultaneous operation collecting intelligence (section 2). 3. The highly automated UKUSA system for processing Comint, often known as ECHELON, has been widely discussed within Europe following a 1997 STOA report. |2| That report summarised information from the only two primary sources then available on ECHELON. |3| This report provides original new documentary and other evidence about the ECHELON system and its involvement in the interception of communication satellites (section 3). 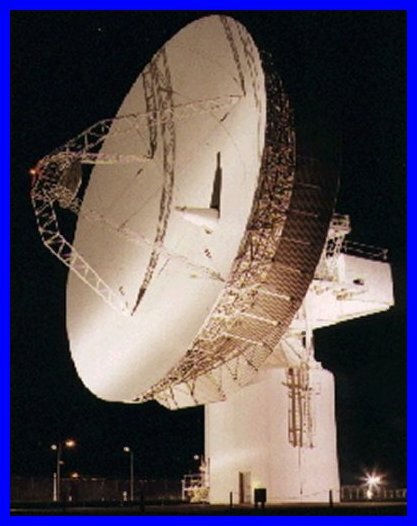 A technical annexe give a supplementary, detailed description of Comint processing methods. 1. Communications intelligence (Comint) is defined by NSA, the largest agency conducting such operations as "technical and intelligence information derived from foreign communications by other than their intended recipient". |4| Comint is a major component of Sigint (signals intelligence), which also includes the collection of non-communications signals, such as radar emissions. |5| Although this report deals with agencies and systems whose overall task may be Sigint, it is concerned only with Comint. 4. Whenever access to international communications channels is obtained for one purpose, access to every other type of communications carried on the same channels is automatic, subject only to the tasking requirements of agencies. Thus, for example, NSA and its British counterpart GCHQ, used Comint collected primarily for other purposes to provide data about domestic political opposition figures in the United States between 1967 and 1975. 5. The United States Sigint System (USSS) consists of the National Security Agency (NSA), military support units collectively called the Central Security Service, and parts of the CIA and other organisations. Following wartime collaboration, in 1947 the UK and the US made a secret agreement to continue to conduct collaborative global Comint activities. Three other English-speaking nations, Canada, Australia and New Zealand joined the UKUSA agreement as "Second Parties". The UKUSA agreement was not acknowledged publicly until March 1999, when the Australian government confirmed that its Sigint organisation, Defence Signals Directorate (DSD) "does co-operate with counterpart signals intelligence organisations overseas under the UKUSA relationship". |6| The UKUSA agreement shares facilities, tasks and product between participating governments. 7. Besides UKUSA, there at least 30 other nations operating major Comint organisations. The largest is the Russian FAPSI, with 54,000 employees. |8| China maintains a substantial Sigint system, two stations of which are directed at Russia and operate in collaboration with the United States. Most Middle Eastern and Asian nations have invested substantially in Sigint, in particular Israel, India and Pakistan. 10. Once targets have been selected, specific existing or new collection capabilities may be tasked, based on the type of information required, the susceptibility of the targeted activity to collection, and the likely effectiveness of collection. 13. Collection includes both acquiring information by interception and passing information of interest downstream for processing and production. Because of the high information rates used in many modern networks, and the complexity of the signals within them, it is now common for high speed recorders or "snapshot" memories temporarily to hold large quantities of data while processing takes place. Modern collection activities use secure, rapid communications to pass data via global networks to human analysts who may be a continent away. Selecting messages for collection and processing is in most cases automated, involving large on-line databanks holding information about targets of interest. 16. Processing may also involve translation or "gisting" (replacing a verbatim text with the sense or main points of a communication). Translation and gisting can to some degree be automated. 18. The nature of dissemination is highly significant to questions of how Comint is exploited to obtain economic advantage. Comint activities everywhere are highly classified because, it is argued, knowledge of the success of interception would be likely to lead targets to change their communications methods to defeat future interception. Within the UKUSA system, the dissemination of Comint reports is limited to individuals holding high-level security "SCI" clearances. |10| Further, because only cleared officials can see Comint reports, only they can set requirements and thus control tasking. Officials of commercial companies normally neither have clearance nor routine access to Comint, and may therefore only benefit from commercially relevant Comint information to the extent that senior, cleared government officials permit. The ways in which this takes place is described in Section 5, below. 20. For example, Hager has described |11| how New Zealand officials were instructed to remove the names of identifiable UKUSA citizens or companies from their reports, inserting instead words such as "a Canadian citizen" or "a US company". British Comint staff have described following similar procedures in respect of US citizens following the introduction of legislation to limit NSA's domestic intelligence activities in 1978. |12| The Australian government says that "DSD and its counterparts operate internal procedures to satisfy themselves that their national interests and policies are respected by the others ... the Rules [on Sigint and Australian persons] prohibit the dissemination of information relating to Australian persons gained accidentally during the course of routine collection of foreign communications; or the reporting or recording of the names of Australian persons mentioned in foreign communications". |13| The corollary is also true; UKUSA nations place no restrictions on intelligence gathering affecting either citizens or companies of any non-UKUSA nation, including member states of the European Union (except the UK). 21. It is a matter of record that foreign communications to and from, or passing through the United Kingdom and the United States have been intercepted for more than 80 years. |14| Then and since, most international communications links have been operated by international carriers, who are usually individual national PTTs or private companies. In either case, capacity on the communication system is leased to individual national or international telecommunications undertakings. For this reason, Comint organisations use the term ILC (International Leased Carrier) to describe such collection. 22. Save for direct landline connections between geographically contiguous nations, high frequency (HF) radio system were the most common means of international telecommunications prior to 1960, and were in use for ILC, diplomatic and military purposes. An important characteristic of HF radio signals is that they are reflected from the ionosphere and from the earth's surface, providing ranges of thousands of miles. This enables both reception and interception. 23. Microwave radio was introduced in the 1950s to provide high capacity inter-city communications for telephony, telegraphy and, later, television. 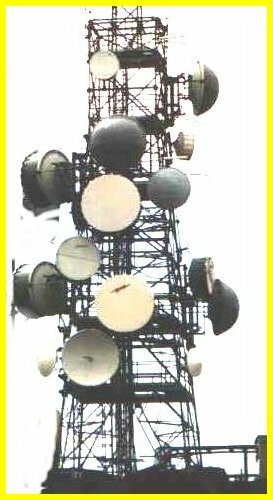 Microwave radio relay communications utilise low power transmitters and parabolic dish antennae placed on towers in high positions such as on hilltops or tall buildings. The antennae are usually 1-3m in diameter. Because of the curvature of the earth, relay stations are generally required every 30-50km. 24. Submarine telephone cables provided the first major reliable high capacity international communications systems. Early systems were limited to a few hundred simultaneous telephone channels. The most modern optical fibre systems carry up to 5 Gbps (Gigabits per second) of digital information. This is broadly equivalent to about 60,000 simultaneous telephone channels. 26. The first geostationary Intelsat satellites were orbited in 1967. Satellite technology developed rapidly. The fourth generation of Intelsat satellites, introduced in 1971, provided capacity for 4,000 simulataneous telephone channels and were capable of handling all forms of communications simultaneously -telephone, telex, telegraph, television, data and facsimile. In 1999, Intelsat operated 19 satellites of its 5th to 8th generations. The latest generation can handle the equivalent to 90,000 simultaneous calls. 28. Comint collection cannot take place unless the collecting agency obtains access to the communications channels they wish to examine. Information about the means used to gain access are, like data about code-breaking methods, the most highly protected information within any Comint organisation. Access is gained both with and without the complicity or co-operation of network operators. 36. The first US Comint satellite, CANYON, was launched In August 1968, followed soon by a second. The satellites were controlled from a ground station at Bad Aibling, Germany. In order to provide permanent coverage of selected targets, CANYON satellites were placed close to geostationary orbits. However, the orbits were not exact, causing the satellites to change position and obtain more data on ground targets. |20| Seven CANYON satellites were launched between 1968 and 1977. 39. The expanded mission given to Menwith Hill after 1985 included MERCURY collection from the Middle East. The station received an award for support to US naval operations in the Persian Gulf from 1987 to 1988. In 1991, a further award was given for support of the Iraqi war operations, Desert Storm and Desert Shield. |22| Menwith Hill is now the major US site for Comint collection against its major ally, Israel. Its staff includes linguists trained in Hebrew, Arabic and Farsi as well as European languages. Menwith Hill has recently been expanded to include ground links for a new network of Sigint satellites launched in 1994 and 1995 (RUTLEY). The name of the new class of satellites remains unknown. 44. No other nation (including the former Soviet Union) has deployed satellites comparable to CANYON, RHYOLITE, or their successors. Both Britain (project ZIRCON) and France (project ZENON) have attempted to do so, but neither persevered. After 1988 the British government purchased capacity on the US VORTEX (now MERCURY) constellation to use for unilateral national purposes. |24| A senior UK Liaison Officer and staff from GCHQ work at Menwith Hill NSA station and assist in tasking and operating the satellites. 51. During 1985, cable-tapping operations were extended into the Mediterranean, to intercept cables linking Europe to West Africa. 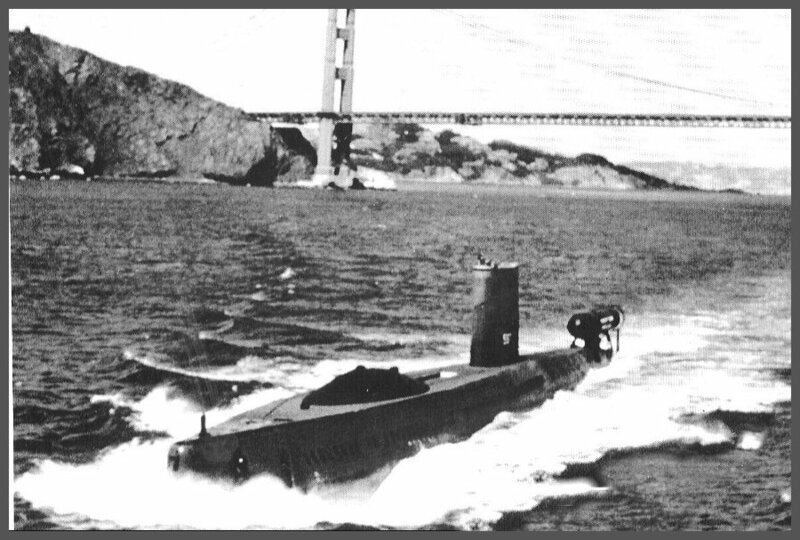 |30| After the cold war ended, the USS Parche was refitted with an extended section to accommodate larger cable tapping equipment and pods. Cable taps could be laid by remote control, using drones. USS Parche continues in operation to the present day, but the precise targets of its missions remain unknown. The Clinton administration evidently places high value on its achievements, Every year from 1994 to 1997, the submarine crew has been highly commended. |31| Likely targets may include the Middle East, Mediterranean, eastern Asia, and South America. 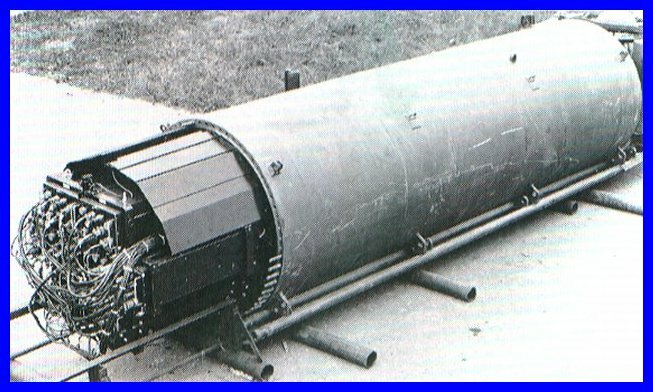 The United States is the only naval power known to have deployed deep-sea technology for this purpose. 52. Miniaturised inductive taps recorders have also been used to intercept underground cables. |32| Optical fibre cables, however, do not leak radio frequency signals and cannot be tapped using inductive loops. NSA and other Comint agencies have spent a great deal of money on research into tapping optical fibres, reportedly with little success. But long distance optical fibre cables are not invulnerable. The key means of access is by tampering with optoelectronic "repeaters" which boost signal levels over long distances. It follows that any submarine cable system using submerged optoelectronic repeaters cannot be considered secure from interception and communications intelligence activity. 53. The dramatic growth in the size and significance of the Internet and of related forms of digital communications has been argued by some to pose a challenge for Comint agencies. This does not appear correct. During the 1980s, NSA and its UKUSA partners operated a larger international communications network than the then Internet but based on the same technology. |33| According to its British partner "all GCHQ systems are linked together on the largest LAN [Local Area Network] in Europe, which is connected to other sites around the world via one of the largest WANs [Wide Area Networks] in the world ... its main networking protocol is Internet Protocol (IP). 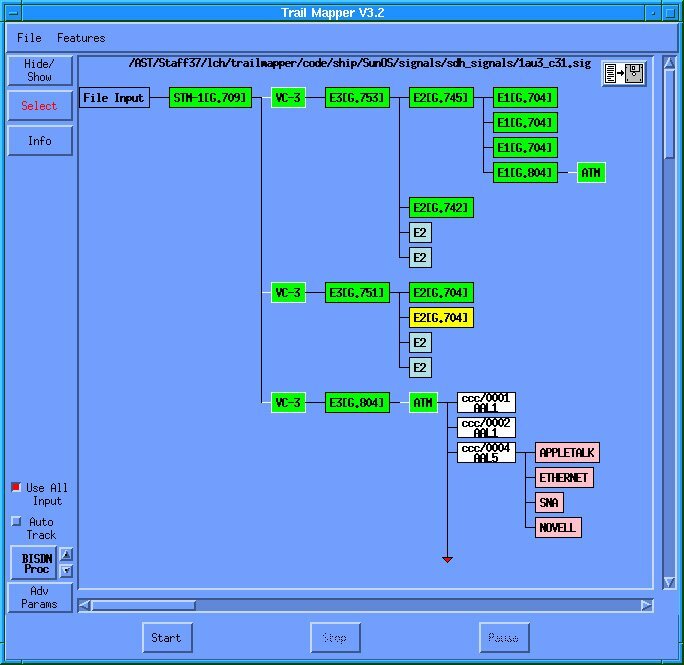 |34| This global network, developed as project EMBROIDERY, includes PATHWAY, the NSA's main computer communications network. It provides fast, secure global communications for ECHELON and other systems. 58. Much other Internet traffic (whether foreign to the US or not) is of trivial intelligence interest or can be handled in other ways. For example, messages sent to "Usenet" discussion groups amounts to about 15 Gigabytes (GB) of data per day; the rough equivalent of 10,000 books. All this data is broadcast to anyone wanting (or willing) to have it. Like other Internet users, intelligence agencies have open source access to this data and store and analyse it. In the UK, the Defence Evaluation and Research Agency maintains a 1 Terabyte database containing the previous 90 days of Usenet messages. |35| A similar service, called "Deja News", is available to users of the World Wide Web (WWW). Messages for Usenet are readily distinguishable. It is pointless to collect them clandestinely. 60. It follows that foreign Internet traffic of communications intelligence interest - consisting of e-mail, file transfers, "virtual private networks" operated over the internet, and some other messages - will form at best a few per cent of the traffic on most US Internet exchanges or backbone links. According to a former employee, NSA had by 1995 installed "sniffer" software to collect such traffic at nine major Internet exchange points (IXPs). |37| The first two such sites identified, FIX East and FIX West, are operated by US government agencies. They are closely linked to nearby commercial locations, MAE East and MAE West (see table). Three other sites listed were Network Access Points originally developed by the US National Science Foundation to provide the US Internet with its initial "backbone". 62. Where access to signals of interest is not possible by other means, Comint agencies have constructed special purpose interception equipment to install in embassies or other diplomatic premises, or even to carry by hand to locations of special interest. Extensive descriptions of operations of this kind have been published by Mike Frost, a former official of CSE, the Canadian Sigint agency. |40| Although city centre embassy premises are often ideally situated to intercept a wide range of communications, ranging from official carphone services to high capacity microwave links, processing and passing on such information may be difficult. Such collection operations are also highly sensitive for diplomatic reasons. Equipment for covert collection is therefore specialised, selective and miniaturised. 63. A joint NSA/CIA "Special Collection Service" manufactures equipment and trains personnel for covert collection activities One major device is a suitcase-sized computer processing system. ORATORY. ORATORY is in effect a miniaturised version of the Dictionary computers described in the next section, capable of selecting non-verbal communications of interest from a wide range of inputs, according to pre-programmed selection criteria. One major NSA supplier ("The IDEAS Operation") now offers micro-miniature digital receivers which can simultaneously process Sigint data from 8 independent channels. This radio receiver is the size of a credit card. It fits in a standard laptop computer. IDEAS claim, reasonably, that their tiny card "performs functions that would have taken a rack full of equipment not long ago". 66. After the public revelation of the SHAMROCK interception programme, NSA Director Lt General Lew Allen described how NSA used "'watch lists" as an aid to watch for foreign activity of reportable intelligence interest". |41| "We have been providing details ... of any messages contained in the foreign communications we intercept that bear on named individuals or organisations. These compilations of names are commonly referred to as 'Watch Lists'", he said. |42| Until the 1970s, Watch List processing was manual. Analysts examined intercepted ILC communications, reporting, "gisting" or analysing those which appeared to cover names or topics on the Watch List. 75. 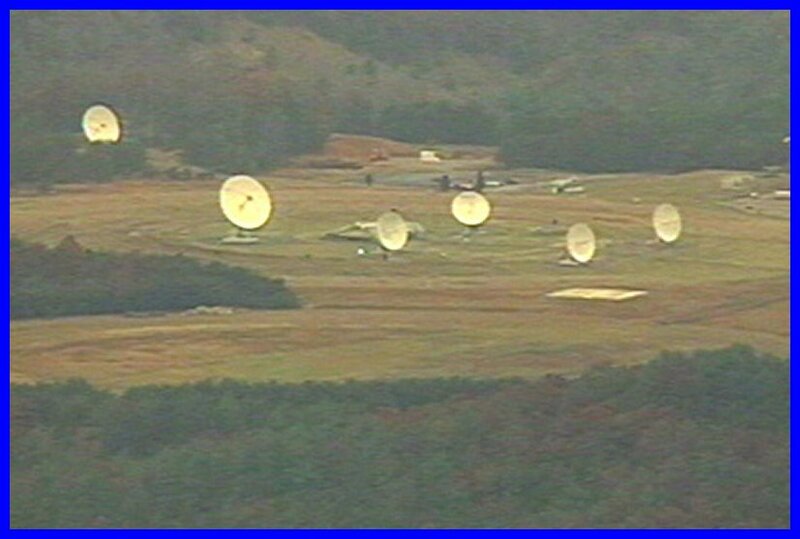 The US Air Force has publicly identified the intelligence activity at Sugar Grove: its "mission is to direct satellite communications equipment [in support of] consumers of COMSAT information ... This is achieved by providing a trained cadre of collection system operators, analysts and managers". |49| In 1990, satellite photographs showed that there were 4 satellite antennae at Sugar Grove. 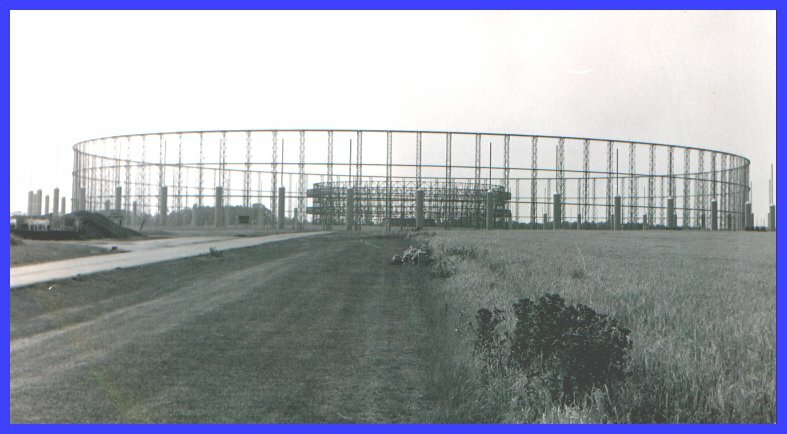 By November 1998, ground inspection revealed that this had expanded to a group of 9. 90. Following the second ILETS meeting in Bonn in 1994, IUR 1.0 was presented to the Council of Ministers and was passed without a single word being altered on 17January 1995. |57| During 1995, several non EU members of the ILETS group wrote to the Council to endorse the (unpublished) Council resolution. The resolution was not published in the Official Journal for nearly two years, on 4 November 1996. 94. During the 1998 EP debate on "Transatlantic relations/ECHELON system" Commissioner Bangeman observed on behalf of the Commission that "If this system were to exist, it would be an intolerable attack against individual liberties, competition and the security of the states". |61| The existence of ECHELON was described in section 3, above. This section describes the organisational and reporting frameworks within which economically sensitive information collected by ECHELON and related systems is disseminated, summarising examples where European organisations have been the subject of surveillance. 96. In general, this statement is not incorrect. But it overlooks fundamental distinctions between tasking and dissemination, and between commercial and economic intelligence. There is no evidence that companies in any of the UKUSA countries are able to task Comint collection to suit their private purposes. They do not have to. Each UKUSA country authorises national level intelligence assessment organisations and relevant individual ministries to task and receive economic intelligence from Comint. Such information may be collected for myriad purposes, such as: estimation of future essential commodity prices; determining other nation's private positions in trade negotiations; monitoring international trading in arms; tracking sensitive technology; or evaluating the political stability and/or economic strength of a target country. Any of these targets and many others may produce intelligence of direct commercial relevance. The decision as to whether it should be disseminated or exploited is taken not by Comint agencies but by national government organisation(s). 97. In 1970, according to its former Executive Director, the US Foreign Intelligence Advisory Board recommended that "henceforth economic intelligence be considered a function of the national security, enjoying a priority equivalent to diplomatic, military, technological intelligence". |63| On 5 May 1977, a meeting between NSA, CIA and the Department of Commerce authorised the creation of secret new department, the "Office of Intelligence Liaison". Its task was to handle "foreign intelligence" of interest to the Department of Commerce. Its standing orders show that it was authorised to receive and handle SCI intelligence - Comint and Sigint from NSA. The creation of this office THUS provided a formal mechanism whereby NSA data could be used to support commercial and economic interests. 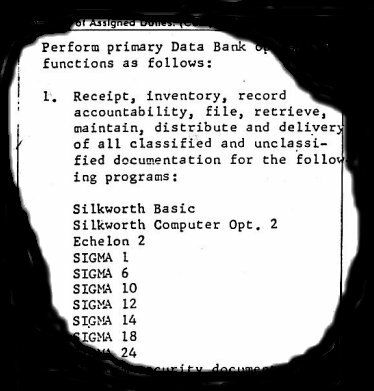 After this system was highlighted in a British TV programme in 1993, its name was changed to the "Office of Executive Support". |64| Also in 1993, President Clinton extended US intelligence support to commercial organisations by creating a new National Economic Council, paralleling the National Security Council. 102. In 1994, NSA intercepted phone calls between Thomson-CSF and Brazil concerning SIVAM, a $1.3 billion surveillance system for the Amazon rain forest. The company was alleged to have bribed members of the Brazilian government selection panel. The contract was awarded to the US Raytheon Corporation - who announced afterwards that "the Department of Commerce worked very hard in support of U.S. industry on this project". |69| Raytheon also provide maintenance and engineering services to NSA's ECHELON satellite interception station at Sugar Grove. 104. Many other accounts have been published by reputable journalists and some firsthand witnesses citing frequent occasions on which the US government has utlitised Comint for national commercial purposes. These include targeting data about the emission standards of Japanese vehicles; |71| 1995 trade negotiations the import of Japanese luxury cars; |72| French participation in the GATT trade negotiations in 1993; the Asian-Pacific Economic Conference (APEC), 1997. 1. The 1998 Parliamentary resolution on "Transatlantic relations/ECHELON system" |73| called for "protective measures concerning economic information and effective encryption". Providing such measures may be facilitated by developing an in-depth understanding of present and future Comint capabilities. 3. As the SOGIS group within the Commission has recognised, |74| the contrasting interests of states is a complex issue. Larger states have made substantial investments in Comint capabilities. One member state is active in the UKUSA alliance, whilst others are either "third parties" to UKUSA or have made bilateral arrangements with NSA. Some of these arrangements were a legacy of the cold war; others are enduring. These issues create internal and international conflicts of interest. Technical solutions are not obvious. It should be possible to define a shared interest in implementing measures to defeat future external Comint activities directed against European states, their citizens and commercial activities. 7. Both companies include senior ex-NSA staff as directors. When not explicitly stated, their products can be identified as intended for Sigint by virtue of being "TEMPEST screened". AST states generally that its "equipment is used for signal reconnaissance of foreign telecommunications by the United States government". One leading cryptographer has aptly and and engagingly described AST as a "one-stop ECHELON shop". 10. Both AST and IDEAS offer a wide range of recorders, demultiplexers, scanners and processors, mostly designed to process European type (CEPT) E-1, E-3 (etc) signals at data rates of up to 160 Mbps. Signals may be recorded to banks of high-speed tape recorders, or into high capacity "RAID" |78| hard disk networks. Intercepted optical signals can be examined with the AST Model 257E "SONET analyser". 12. The AST Model 120 multi-channel processor - used by NSA in different configurations known as STARQUAKE, COBRA and COPPERHEAD - can handle 1,000 simultaneous voice channels and automatically extract fax, data and voice traffic. Model 128, larger still, can process 16 European E-3 channels (a data rate of 500 Mbps) and extract 480 channels of interest. The 1999 giant of AST's range, the Model 132 "Voice Channel Demultiplexer", can scan up to 56,700 communications channels, extracting more than 3,000 voice channels of interest. AST also provides Sigint equipment to intercept low capacity VSAT |79| satellite services used by smaller businesses and domestic users. These systems can be intercepted by the AST Model 285 SCPS processor, which identifies and extracts up to 48 channels of interest, distinguished between voice, fax and data. 13. 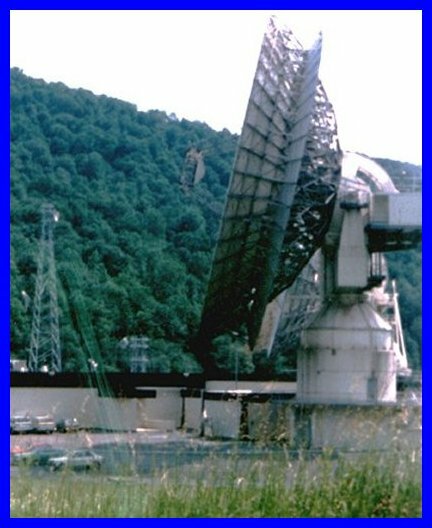 According to US government publications, an early Wideband Extraction system was installed at NSA's Vint Hill Farms field station in 1970, about the time that systematic COMSAT interception collection began. That station is now closed. US publications identify the NSA/CSS Regional Sigint Operations Centre at San Antonio, Texas, as a site currently providing a multi-channel Wideband Extraction service. 16. In the next stage downstream, intercepted signals are processed according to whether they are voice, fax or data. AST's "Data Workstation" is designed to categorise all aspects of data communications, including systems for handling e-mail or sending files on the Internet. |81| Although the very latest modem systems (other than ISDN) are not included in its advertised specification, it is clear from published research that AST has developed the technology to intercept and process the latest data communications systems used by individuals and business to access the Internet. 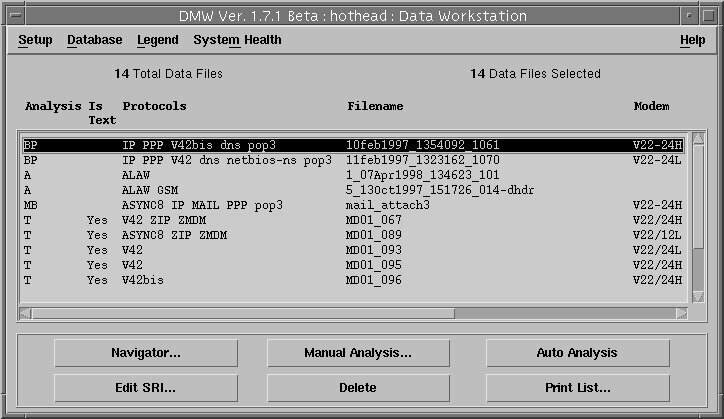 |82| The Data Workstation can stored and automatically process 10,000 different recorded signals. 24. In a standard US test used to evaluate topic analysis systems, |83| one task the analysis program is given is to find information about "Airbus subsidies". The traditional approach involves supplying the computer with the key terms, other relevant data, and synonyms. In this example, the designations A-300 or A-320 might be synonymous with "Airbus". The disadvantage of this approach is that it may find irrelevant intelligence (for example, reports about export subsidies to goods flown on an Airbus) and miss relevant material (for example a financial analysis of a company in the consortium which does not mention the Airbus product by name). Topic analysis overcomes this and is better matched to human intelligence. 31. This study has found no evidence that voice keyword recognition systems are currently operationally deployed, nor that they are yet sufficiently accurate to be worth using for intelligence purposes. 32. The fundamental technique in many speech recognition applications is a statistical method called Hidden Markov Modelling (HMM). HMM systems have been developed at many centres and are claimed academically to offer "good word spotting performance ... using very little or no acoustic speech training". 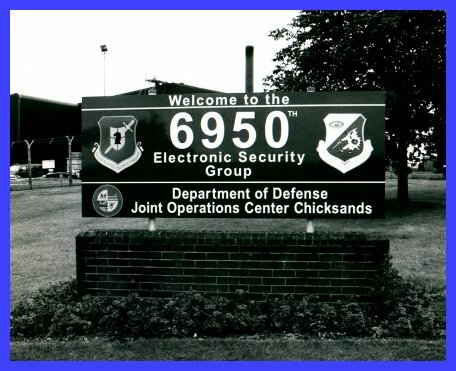 |87| The team which reported this result tested its system using data from the US Department of Defense "Switchboard Data", containing recordings of thousand of different US telephone conversations. On a limited test the probabilities of correctly detecting the occurrences of 22 keywords ranged from 45-68% on settings which allowed for 10 false positive results per keyword per hour. Thus if 1000 genuine keywords appeared during an hour's conversation, there would be at least 300 missed key words, plus 220 false alarms. 33. At about the same time, (February 1990), the Canadian Sigint organisation CSE awarded a Montreal-based computer research consultancy the first of a series of contracts to develop a Comint wordspotting system. |88| The goal of the project was to build a word-spotter that worked well even for noisy calls. Three years later, CRIM reported that "our experience has taught us that, regardless of the environmental conditions, wordspotting remains a difficult problem". The key problem, which is familiar to human listeners, is that a single word heard on its own can easily be misinterpreted, whereas in continuous speech the meaning may be deduced from surrounding words. CRIM concluded in 1993 that "it is probable that the most effective way of building a reliable wordspotter is to build a large vocabulary continuous speech recognition (CSR) system". 35. In 1993, having failed to build a workable wordspotter, CRIM suggesting "bypassing" the problem and attempting instead to develop a voice topic spotter. CRIM reported that "preliminary experiments reported at a recent meeting of American defense contractors ... indicate that this may in fact be an excellent approach to the problem". They offered to produce an "operational topic spotting" system by 1995. They did not succeed. Four years later, they were still experimenting on how to built a voice topic spotter. |89| They received a further research contract. One method CRIM proposed was NSA's N-gram technique. Edition Note: This report was directed to the Director General for Research of the European Parliament (Scientific and Technical Options Assessment programme office) on the development of surveillance technology and risk of abuse of economic information. This study considers the state of the art in Communications intelligence (Comint) of automated processing for intelligence purposes of intercepted broadband multi-language leased or common carrier systems, and its applicability to Comint targeting and selection, including speech recognition. 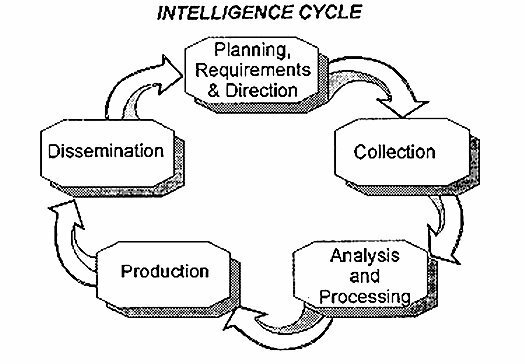 It was published as "Part 2/5: The state of the art in communications Intelligence (COMINT) of automated processing for intelligence purposes of intercepted broadband ulti- language leased or common carrier systems, and its applicability to COMINT targetting and selection, including speech recognition" by the STOA in October 1999 (PE 168. 184 Vol 2/5).